If you have come to this post, I assume that you’re a beginner with the terms Azure and Sitecore Azure. When you don’t want to be in charge of your own physical kit, you choose to deploy to something like Azure. This includes stuff like hardware, operating system, network load balancing and things that have nothing much to do with the core application. Before moving forward to Sitecore Azure, let’s have a brief overlook at Microsoft Azure’s interface. 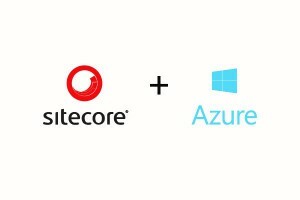 Now that you saw how the interface for Microsoft’s much hyped Azure looks like, let us come to using Azure for Sitecore. 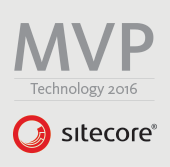 We all know that Sitecore itself has had a lot of success as an ‘on-premises’ software solution and content management system that facilitates on-premises deployments. Sitecore, with its advanced personalization capabilities and marketing automation, gives all the power to deliver relevant content or ecommerce offers that their audiences want to see. 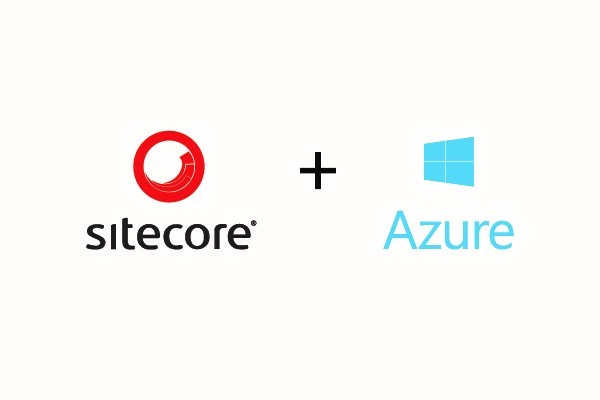 And then, deploying #Sitecore on #Azure makes it even better as #Sitecore Azure. Implementing a cloud version of Sitecore, using Azure, is definitely a great idea because of the many added benefits you get while using Sitecore on Azure or Sitecore Azure. While using Azure to enjoy the cloud version of Sitecore, you get to choose from cloud platform services like IaaS and PaaS and increase your productivity. Hybrid cloud solutions open new IT options for you without adding on to the complexity of the whole thing. Sitecure Azure makes it way easier and way more efficient to build applications and dal with stuff like data storage, backup, recovery, etc. It’s not only scalable but economical with its per-minute billing to ensure that you pay only for what you use. Going for Microsoft Azure with Sitecore only brings you more flexibility, superior infrastructure, predictable costs, enhanced performance and opportunity to review workload. When using Sitecore on Azure, it is important to know what the cloud platform services like IaaS, PaaS and SaaS, have to do with Azure and services. Moving to the cloud is a very much hyped things but most remain confused about the various services and what each of them means for organizations. Here we shed some light on the differences between them. IaaS, PaaS and SaaS are basically three approaches to deploy or consume ‘cloud’ applications. 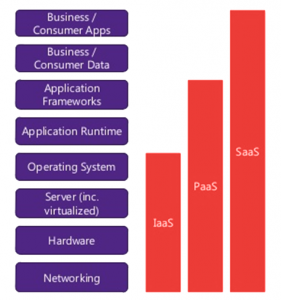 What do IaaS, PaaS, SaaS stand for? The three of them are not services in themselves. These are just choices that you make about the level of abstraction you require. You can choose a final setup with the elements of any of these or your final Azure setup may also be a combination of IaaS, PaaS and SaaS elements. IaaS: IaaS or infrastructure as a Service means that you are handling over the responsibility of machines and network to a cloud platform. 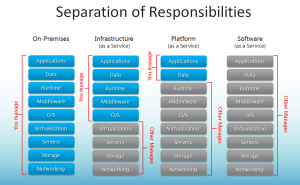 So, basically, with IaaS approach, you choose virtual machines over physical machines. You can still log in to the virtual machines and configure IIS, mess around in MSSQL or look at your web root. The basic infrastructure including hardware, networking, servers is supplied by a service provider. A central, knowledgeable group holds the responsibility for infrastructure. 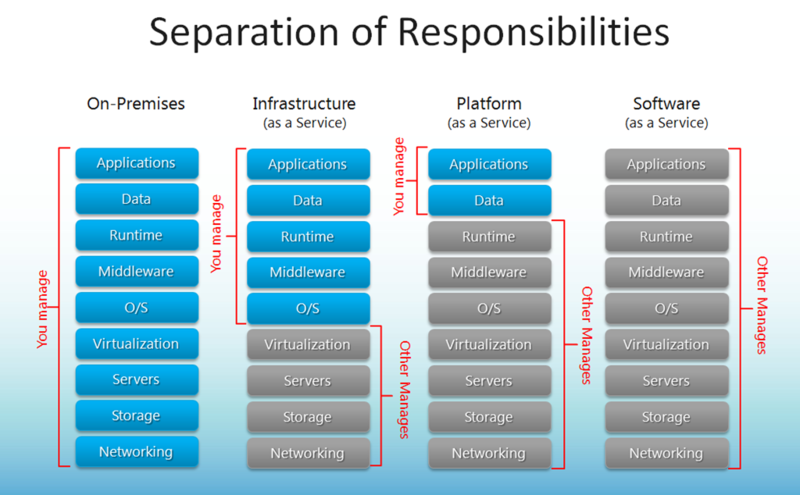 Under PaaS approach, you let the cloud platform manage all these aspects. Application platform components like persistence, runtime, frameworks, etc. are provided by a third-party. Private PaaS cloud offered as service provider and Public PaaS cloud that is offered by a third-party company. The application development organization builds their solutions on a known, stable platform with a consistent set of components. With PaaS, you need only to develop the application or business level logic. The application teams and companies would have to pay a fee for this service. SaaS: Finally, SaaS or Software as a Service takes over all your responsibility. All you need to do is to sign up, SaaS takes care of everything else. For example, Google Apps for Work is a SaaS. In Saas, business or consumer software application is provided by a third party. Rather than calling it as Software as a Service, you can also call it Application as a Service. Salesforce.com CRM and SAP SuccessFactors are a good example of SaaS in the business world while Facebook, Gmail and My Yahoo are consumer focused SaaS examples. Customers typically pay some subscription, either time-based like monthly or yearly, or service-based like pay for n no. of messages, volume of photos, etc. Where the three approaches should be used? IaaS achieves cost-benefit gains at physical infrastructure level. It is a widely applicable approach. Small and medium sized organizations use IaaS from a third-party to alleviate the need for expensive infrastructure and resources in-house. Publc IaaS is used by large organizations to share up internal data centers by taking on additional load during peak periods or is used for temporary purposes like testing. SaaS can be used by organizations of any size and in any type of business. Any organization can be used as a single SaaS application while large organizations can make use of several different SaaS applications like Salesforce.com for CRM, Office365 or Box.net. Check out my next posts to know more about what each one of them means and what they have to do with Sitecore Azure. This entry was posted in Microsoft Azure, Sitecore, Sitecore Azure and tagged IaaS, Microsoft Azure, PaaS, Sitecore, Sitecore Azure. Bookmark the permalink.